Our Veterans Assistance Counselors help veterans and their families receive benefits for which they qualify. General eligibility requirements include military service and Louisiana state residency. Specific programs may have additional requirements. Spouses and dependents of deceased veterans who meet eligibility requirements may also be eligible for certain programs and services. 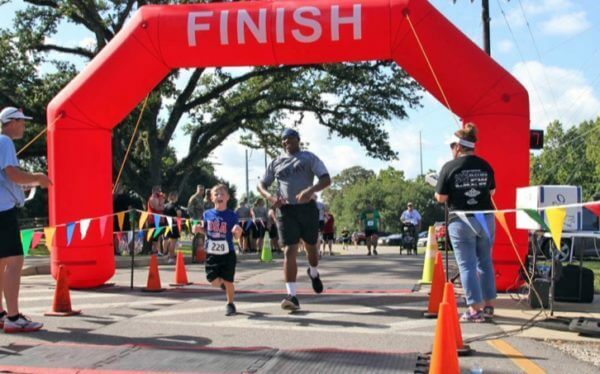 The Military Family Assistance Fund (MFA) can provide financial support to Louisiana Veterans and their families when they experience financial hardships. Certain criteria applies. In order to receive funds through MFA, a completed application must be submitted to LDVA including all required supporting documentation. MFA can pay up to $10,000.00 for one claim per active-duty order in a twelve month period. MFA is funded by private donations from individuals and corporations. Visit our How to Help page to donate to the MFA fund. To qualify for assistance from the MFA Fund, Veterans and activated military applicants must meet certain minimum active-duty service requirements, and have been honorably discharged. Immediate family members of eligible Veterans and activated military personnel may also qualify. Completed applications must include all supporting documents requested on the form. Apply for MFA funds by clicking the button below. For more information, you may call toll free 1-877-432-8982. The Louisiana Veterans Honor Medal was created to honor, recognize and thank Louisiana Veterans for their honorable military service. Medals are available to all honorably discharged Louisiana Veterans and to the family of those killed in action. The Louisiana Veterans Honor Medal is available with a blue ribbon for honorable discharge, a purple ribbon for Purple Heart recipients, a black ribbon for Prisoners of War, and a yellow ribbon for killed in action. To apply for your Louisiana Veterans Honor Medal, please complete an application by filling out our form online. You will also be required to submit a copy of your DD214 or discharge papers with your application. Homes are located conveniently across the state in Jackson, Bossier City, Monroe, Reserve, and Jennings. Veterans, their spouses and Gold Star parents are eligible for admission into the Veterans Homes if they are deemed to meet basic qualifying criteria. Please view this list of Admission Requirements or call toll free 1-877-GEAUX-VA.
How To Apply: Download the admissions packet here and mail your completed application to your chosen location. LDVA operates four Veterans Cemeteries located across the state, offering a variety of burial options for Veterans, spouses and dependent children. Each location features beautiful and spacious grounds, covered shelter for committal services, and are open Monday through Friday for interments with visitation open daily. Based on available resources, funeral honors may be available and may include the presence of military members, folding and presentation of the flag, firing details, and the sounding of Taps. Military Funeral Honors are available through the different branches of service upon request and upon availability. Contact the respective branch using the information below. 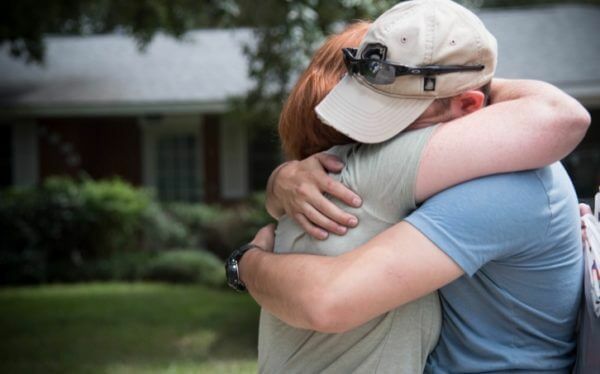 Louisiana offers education assistance to surviving spouses of deceased Veterans as well as children of Veterans rated with 90% or more service-connected disability and children of Veterans rated with 100% service-connected disability due to unemployability. Visit your local VAC. Find your nearest LDVA Veterans Parish Service Office here. May be used by veterans and unmarried surviving spouses of those who died of a service-connected disease or disability, to purchase or refinance a home. Visit your local VAC. Find your nearest LDVA Parish Service Office here. Financial support for veterans with limited income when they have 90 days or more of active-duty military service, one day of which was during a wartime period. To qualify, a veteran must be permanently and totally disabled for reasons traceable neither to military service nor to willful misconduct or must be over 65 years of age. The veteran must have been discharged from active duty under conditions other than dishonorable. Payments to veterans who are disabled by injury or disease incurred, or aggravated as a result of military service. Louisiana Veterans can enjoy discounts and fee waivers for hunting and fishing licenses as well as entrance to Louisiana state parks. Certain qualifications apply. Qualifying Veterans can receive additional tax benefits on their homestead exemption. Additional special property tax exemptions are also assessed for some disabled veterans or active duty servicemembers killed in action. Additional eligibility requirements apply. Please visit your local Parish Assessor’s Office to learn more. Click here to view the official digest of the Homestead Exemption statute. Click here to view considerations for 100% Disabled Vets. Click here to view other special exemptions, such as for property of servicemembers killed in action. Military pay that is exempt from federal taxation, such as combat pay or hazardous duty pay, is also exempt from Louisiana state taxation. Military retirement benefits are exempt from Louisiana state taxation. Veterans classified 100% disabled by the USDVA are eligible for a free military honor plate labeled with the universal symbol for accessibility. There are no renewal fees for this plate. Qualifications: Act No. 194 of the 2016 LA Legislature Regular Session outlines qualifications and other details regarding the Military Honors plate. The “Support our Veterans” license plate is available for purchase for a one-time fee of $25 at all Louisiana Office of Motor Vehicle locations. Proceeds support the Military Family Assistance Fund. Other specialty license plates are also available, including the Purple Heart license plate and the Military Honors license plate for disabled veterans. For more information and a complete listing of all specialty Louisiana license plates in support of Veterans and their families, please visit: www.expresslane.org or visit your local Louisiana Office of Motor Vehicles. Veterans can now be recognized through a special VETERAN designation on their official Louisiana drivers’ licenses and IDs. Veterans may also qualify for special discounts or waivers on fees for drivers’ licenses or IDs. Proof of Veteran status is required. For more information on VETERAN designations, contact your local Louisiana State Office of Motor Vehicles. For more about waivers, please contact the Louisiana Office of Motor Vehicles at (225) 925-6146 or visit your nearest LDVA Veterans Parish Service Office. Louisiana National guardsmen suffering a permanent and total disability while on federal or state active duty on or after September 11, 2001, or the beneficiary of record of those killed in action may qualify for a $250,000 death or $100,000 disability benefit from the State of Louisiana. Certain restrictions apply. Medical treatment and hospital care for veterans with service connected disabilities and others who meet VA eligibility criteria. 1500 East Woodrow Wilson Ave. The program is designed to assist veterans in finding employment, by bringing employers and veterans together in the Lafayette/Acadiana area. The primary duties of this program are to help veterans find employment by contacting employers and assisting the employers in finding the right candidate for the position, that candidate being a veteran. Visit the Veterans Corner website for more information and to view open positions in the Lafayette/Acadiana area. LAVETBIZ is a business initiative established to provide additional opportunities for Louisiana based Veteran and service-connected disabled Veteran-owned small business owners when they seek to work with the State of Louisiana. LAVETBIZ is supported by compliance mandates which are enforced through the Louisiana Division of Administration. This program helps Veterans with service-connected disabilities prepare for, find, and keep jobs. Certain qualifications apply. Louisiana state and city civil service departments award a five to ten-point preference in original appointment to Veterans who served honorably in the U.S. Armed Forces under certain circumstances. Federal law also grants five and ten-point preference to Veterans who meet certain criteria when they apply for federal jobs. To see current state job openings, please visit: www.civilservice.la.gov or call toll free 1-866-783-5462. For more information about Federal openings, please visit www.fedshirevets.gov or call (202) 606-7304. The Louisiana Workforce Commission operates local centers across the state to assist Veterans in finding employment and making career choices, including apprenticeship programs. For more information, please visit: www.laworks.net or call toll free 1-800-259-5154. Louisiana recognizes that the skills learned during military training can often apply to the civilian workforce. As such, Act 276 of the 2012 Regular Legislative Session states that individuals with military training and experience will be granted civilian professional licensure and/or certification when the Servicemember has been awarded a military occupational specialty and performance in that specialty that is at a level equal to or exceeding the requirements for said license and/or certification. Provisions apply. Click here to read the official digest for this statute. In-state tuition status is granted to Veterans and active-duty military who seek to attend any Louisiana public college or university. Eligibility requirements apply. Provides education and training opportunities to dependents of Veterans who are permanently and totally disabled due to a service-related condition or who died while on active duty or as a result of a service-related condition. Eligibility requirements apply. VEAP may be used for degree and certificate programs, flight training, apprenticeship and/or on-the-job-training, correspondence courses, remedial deficiency and refresher courses. Eligibility requirements apply. Open new doors to employment by getting licensed or certified as a mechanic, medical technician, attorney, or other professional position. Often required for work in certain fields, these tests may be eligible for GI Bill reimbursement. Eligibility requirements apply. Offers an alternative way to use GI Bill education and training benefits. Eligibility requirements apply. VA educational benefits may be used while the Servicemember is on active duty or after the Servicemember’s separation from active duty with a fully honorable military discharge. Eligibility requirements apply. May assist eligible individuals with payment of their tuition and fees in instances where costs exceed the in-state tuition charges at a public institution or the national maximum payable at private and foreign institutions. Eligibility requirements apply. Education benefit program for Servicemembers and Veterans who served on active duty after September 10, 2001. Benefits are payable for training pursued on or after August 1, 2009. No payments can be made under this program for training pursued before that date. Eligibility requirements apply.